Our expert dental health team is here to help you take care of your greatest personal asset – your smile. We’ve been in the Lake Ray Hubbard area since 1987, and our entire staff has worked together for most of those years. 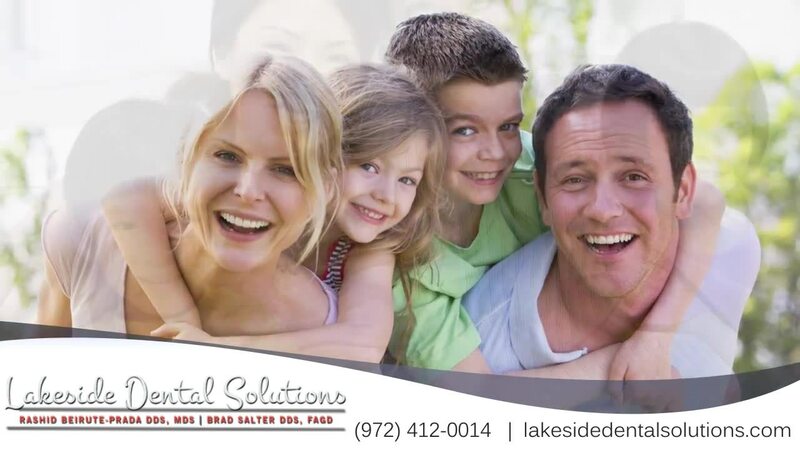 Whether it’s your child’s first visit, a smile makeover, laser dentistry or other treatment, we can serve any member of your family, at any stage of life. You will receive the best in personal care each time you visit. Periodontists are experts in the prevention, diagnosis and treatment of diseases of all the supporting and surrounding tissues of the teeth (gums, bone, sinus), and their substitutes, regeneration of lost components, as well as maintenance, of the health, function and esthetics of these structures and tissues. After five years of training for general dentistry, the periodontics specialty requires three more years in which we study in detail the characteristics and functions of the tissues of the oral cavity. This makes us Periodontists, doctors who are experts of the oral cavity, and head and neck structures. You can feel confident that our team will give its best effort to help you. Our philosophy relies on creating a strong long lasting relationship with you. This vision will enable our team to focus on your needs. We are committed to our profession, and we will continue providing the ideal and most predictable treatment for any person that needs our help. Please feel free to contact us with questions or make an appointment at your convenience. We are looking forward to hearing from you soon.